This Bakelite chair comes from our large collection of original stacking chairs. 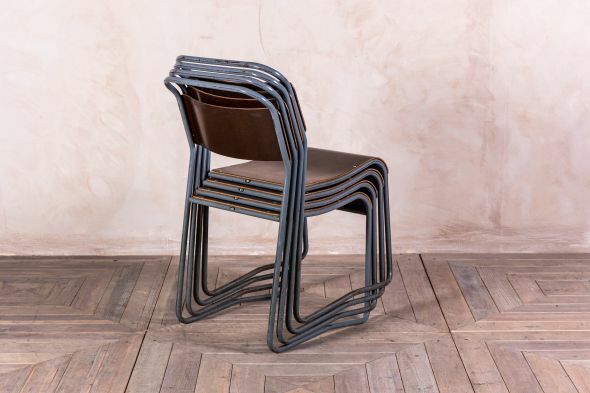 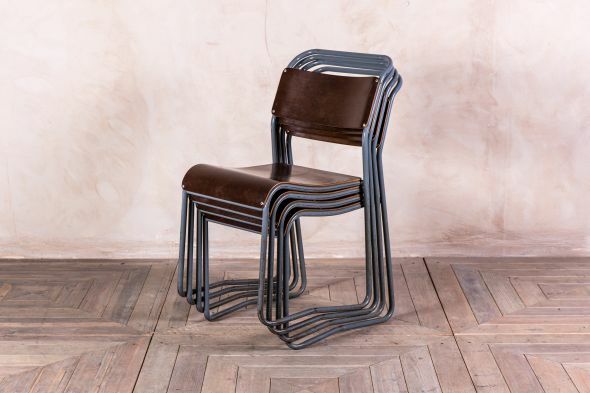 This chair features a Bakelite seat and back, and it also has a tubular steel frame in the original grey paint colour. 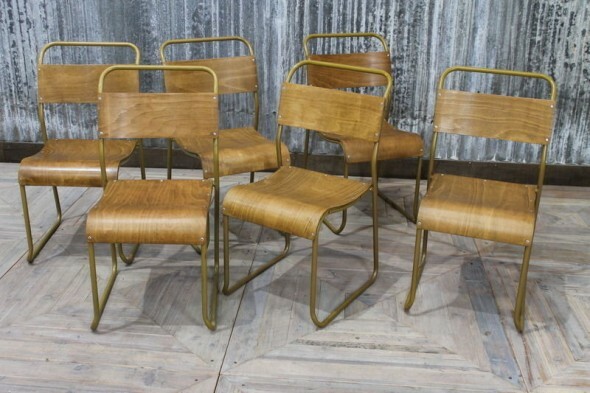 Ideal for a restaurant, cafe, or bar, these chairs would also suit a vintage themed kitchen. 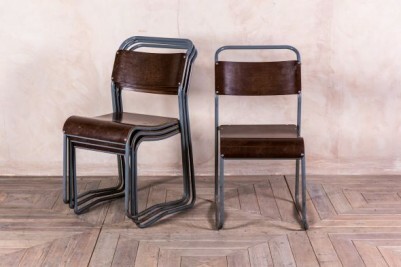 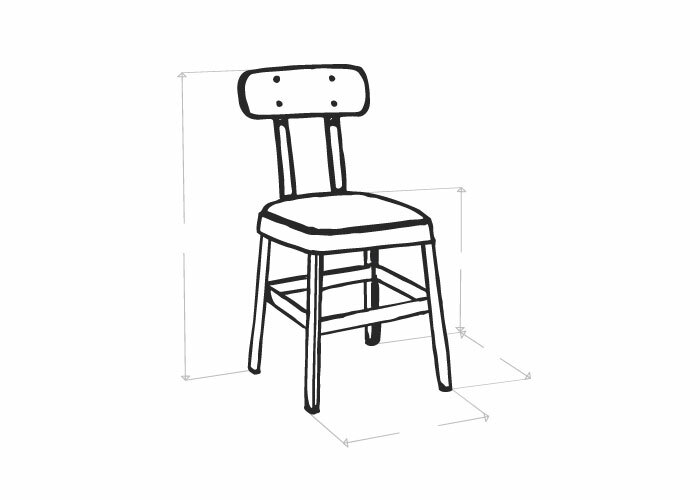 Also great for extra party seating, the chairs can be stacked together for easy storage when they aren’t in use. 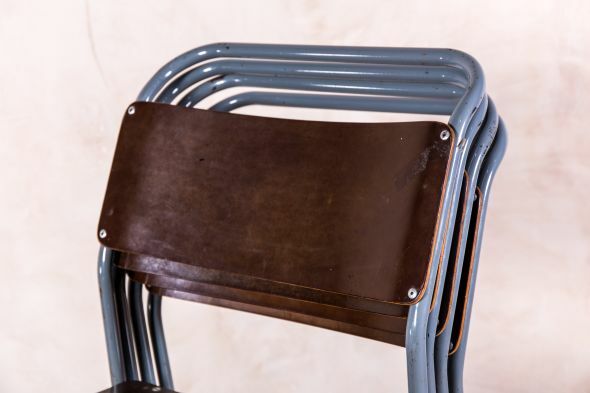 These chairs are vintage and do have aged paintwork, and marks to the seat and back. 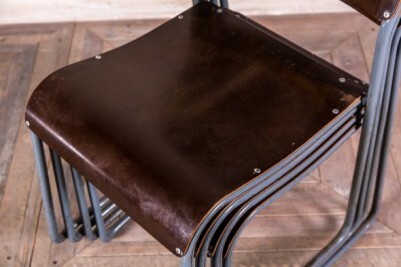 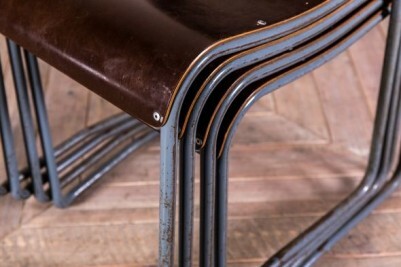 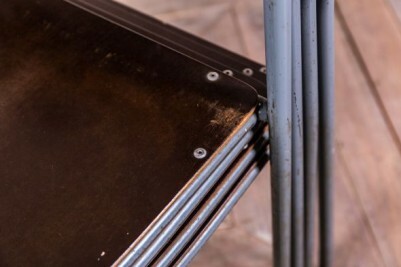 These slight signs of wear and tear add unique character and charm to the chairs.